Sara Olsson was agonizing close to win the tour, against a big Danish team, and with only Tone as a dedicated domestic. Sara won the prologue, but lost the tour on the finishing time trial by l4 seconds to Danish Camilla Møllebro Pedersen. 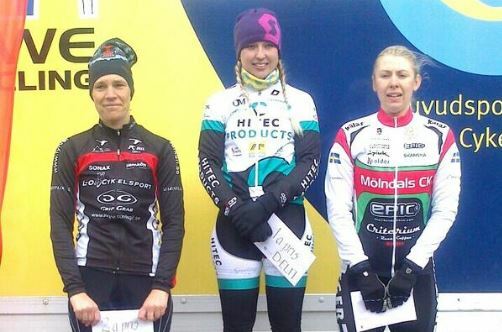 The opening race in Jønkøping (where Sara lost some teeth in 2007) was the first win for her in the Hitec Products jersey. There were 19 riders at the start.